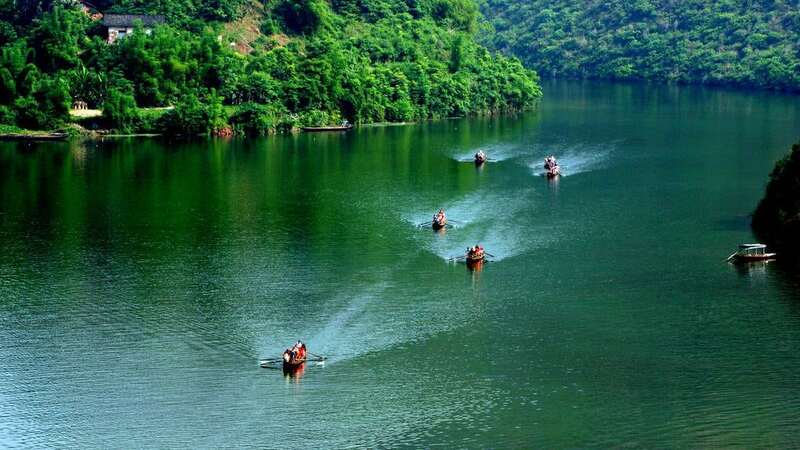 The Shennong Stream is one of the tributaries of the Yangtze River and connected with the Shennongija Nature Reserve in Hubei’s Badong County. Throughout China are beautiful areas, especially along the Yangtze River but without doubt the Shennong Stream is an oasis unlike any other. Many cruise lines include Shennong Stream shore excursion. The landscape that envelops the Shennong Stream is emerald green and lush. Forestland is untouched, home to many of China’s native wildlife. As you going deeper into the Shennong Stream, you will see first-hand the depth of beauty the natural mountains and forests provide. Shennong Stream cruise excursion will take you almost 20 miles while giving you the opportunity to see cascading waterfalls, steep cliffs, karst caves, three-colored springs, and an amazing array of fish, birds, and monkeys as they play near the water’s edge. Another gorge included in your trip down the Shennong Stream is called Yingwu, which means “parrot”. This too is simply a gorgeous area that boasts sweet smelling flowers and dense green vegetation. From this vantage point, the three-colored springs spray the air. You will also discover the Swallow Cave, a unique place where virtually thousands of short-beaked golden swallows live. The third gorge along your trip on the Shennong Stream is Longchuan. With a reputation for its magical beauty, this gorge is stunning with rocky cliffs, one in particular known as the Peak Baota, translating to “tower”. This cliff reaches upwards, an incredible site where archaeologists have discovered a number of ancient battle tools. Each stop along the sampan tour of the Shennong Stream offers something special, making this a perfect experience. 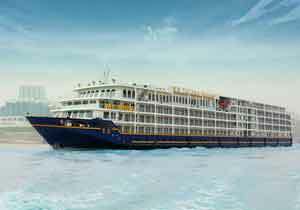 Check on President Cruises which include Shennong Stream excursion in the cruise price.